What do you do when your Hadoop ETL script is mercilessly killed because it is hogging too many resources on the cluster, or if it starts missing completion deadlines by hours? We encountered this exact same problem more than a year ago while building the computation pipeline for XLNT, LinkedIn’s A/B testing platform. After wasting several months on optimization and tuning possibilities with Pig and Hive and still not meeting completion deadlines, we realized the problem needed an entirely new set of algorithms. Written completely in Java and built using several novel primitives, the new system proved effective in handling joins and aggregations on hefty datasets which allowed us to successfully launch XLNT. However, we soon became victims of our own success. We were faced with extended requirements as well as new use cases from other domains of data analytics. Adding to the challenge was maintaining the Java code and in some cases, rewriting large portions to accommodate various applications. This experience fit the pattern we have seen for our complex analytics computations. First, you tweak the script and tune the parameters. And when that fails, there is no other option but to roll up your sleeves and write some low-level Map Reduce code. From there the struggle continues, as the code has to be maintained and extended. Our solution is an extensible and customizable framework, Cubert, that delivers all the efficiency advantages of a hand-crafted Java program yet provides the simplicity of a script-like user interface to solve a variety of statistical, analytical and graph problems, without exposing analysts and data scientists to low level details. We recently decided to open source Cubert to help out fellow data analysts in the community who are struggling with similar problems. The Cubert name owes its origin to our fascination with the Rubik’s Cube. 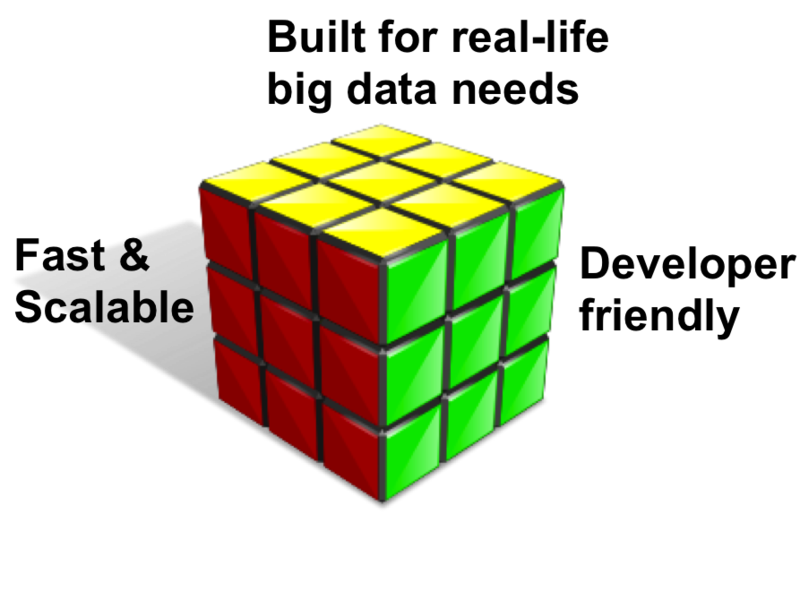 Just as the blocks are moved about - in smart ways - to solve the complex Rubiks cube puzzle, we found the analogy in moving data blocks, again in smart ways, to solve complex analytics problems. The name is also fitting, as the CUBE operator is one of the most distinguished and prominent technological innovations in Cubert. Complex Joins and aggregations frequently arise in the context of analytics on various user level metrics which are gathered on a daily basis from a user facing website. Cubert provides the unique MeshJoin algorithm that can process data sets running into terabytes over large time windows. 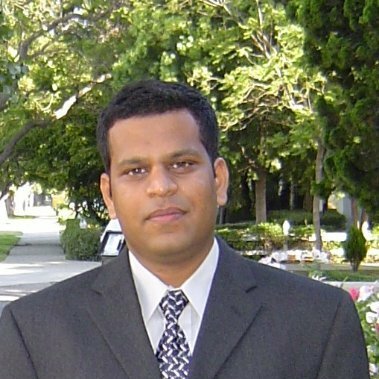 Reporting workflows are distinct from ad-hoc queries by virtue of the fact that the computation pattern is regular and repetitive, allowing for efficiency gains from partial result caching and incremental processing, a feature exploited by the Cubert runtime for significantly improved efficiency and resource footprint. Cubert provides the new power-horse CUBE operator that can efficiently (CPU and memory) compute additive, non-additive (e.g. Count Distinct) and exact percentile rank (e.g. Median) statistics; can roll up inner dimensions on-the-fly and compute multiple measures within a single job. Cubert provides novel algorithms for graph traversal and aggregations for large-scale graph analytics. Finally, Cubert Script is a developer-friendly language that takes out the hints, guesswork and surprises when running the script. The script provides the developers complete control over the execution plan (without resorting to low-level programming! ), and is extremely extensible by adding new functions, aggregators and even operators. Cubert has significantly impacted the performance of analytics computations in several domains at LinkedIn – converting hours to minutes! 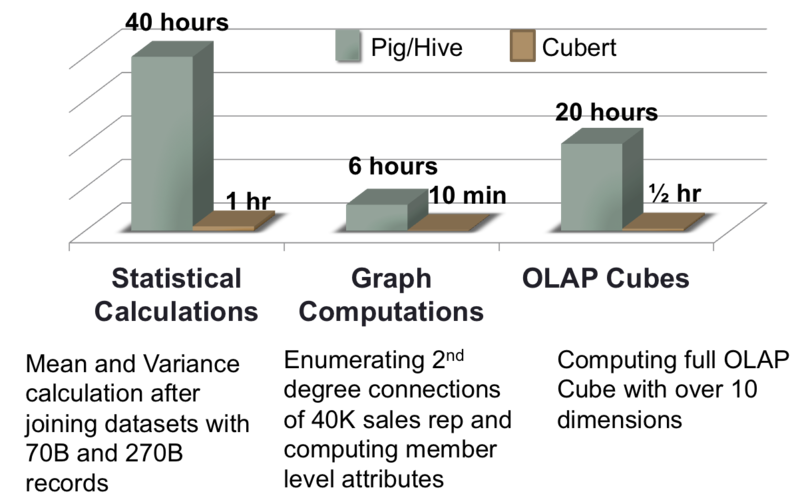 The adjacent figure illustrates the three primary layers involved in big data computation. Extant engines such as Apache Pig, Hive and Shark (orange blocks) provide a logical declarative language that is translated into a physical plan. This plan is executed on the distributed engine (Map-Reduce, Tez or Spark), where the physical operators are executed against the data partitions. Finally, the data partitions are managed via the file system abstractions provided by HDFS. Cubert has extended this structure with new abstractions in language, operators and storage (purple blocks). To the users, Cubert provides a scripting language and runtime to execute plans specified as a flow of operators. This is a physical language, that is, users can write MR programs as scripts (without writing java!). The next section discusses the Cubert script. Data movement operators: SHUFFLE (standard Hadoop shuffle), BLOCKGEN (create partitioned data units), COMBINE (combine two or more blocks), PIVOT (create sub-blocks out of a block, based on specified partitioning scheme). Dictionary operators to encode and decode strings as integers. For the new operators and algorithms to work correctly, the data must be available in a specific format called blocks. Blocks are partitions of data based on some cost function, are internally sorted and can be retrieved by their identifiers. Cubert provides a storage abstraction on top of HDFS to manage these blocks. The job starts with a Map phase that loads the input data and applies operators (GENERATE in this case). The data is then shuffled, with optional invocation of the combiners. The shuffled data is processed by the operators in the reducers (GROUP BY in the example) and subsequently stored in HDFS. In addition to the standard SHUFFLE, Cubert also provides other data movement operators such as BLOCKGEN and CUBE. Note that the above script is actually not the idiomatic way to count words. The proper approach would be to use the CUBE operator (see example below), which is not only a more compact script but also would run faster. Secondly, even though the script is written as a Map Reduce job, it can actually run on non-MR engines. We are currently working on supporting Tez and Spark as the underlying execution engine, as well as extending the script to represent non-MR logic. The first job organizes the input data into blocks which are generated using a cost function (number of rows in blocks = 1M). The second job adds a new column for those records that occurred today. Finally, the CUBE command creates the three cubes in a single job! The figure below illustrates a portion of the data analytics pipeline at LinkedIn. The various data sources publish data using Kafka, a high-throughput distributed messaging system. The Kafka “streams” are ingested into the Hadoop grid, where Cubert processes the data for a variety of statistical, analytical and graph computation problems. The computed results are pushed out of hadoop grid into Pinot - LinkedIn’s distributed real-time analytics infrastructure. Currently, Cubert can natively import Pig UDFs; we plan on supporting the UDFs as well as Storage layers from both Pig and Hive. 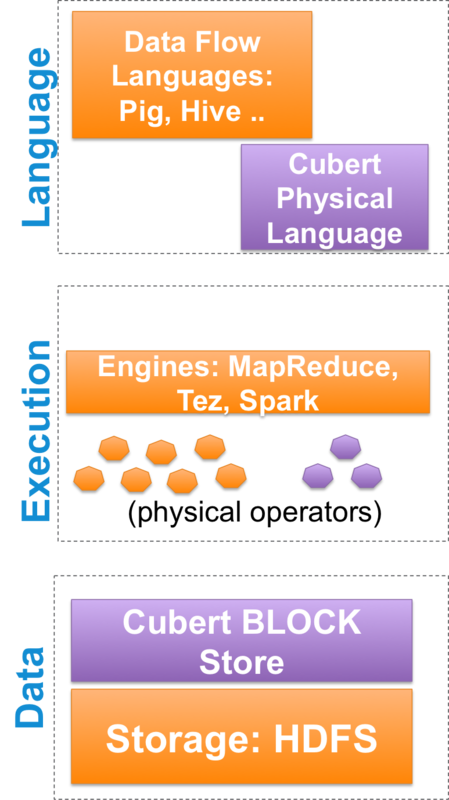 We are working on supporting Apache Tez and Spark as the underlying execution engine for Cubert. Our plans to extend the language include supporting logical layer primitives, supporting analytical window functions and automatically translating the scripts to support incremental computations. The Cubert project is under active development by the Cubert Team: Srinivas Vemuri, Maneesh Varshney, Mani Parkhe, Suvodeep Pyne and Vinitha Gankidi with technical guidance from Shirshanka Das. The Cubert team is part of the Data Analytics Infrastructure organization led by Kapil Surlaker and Greg Arnold.